To get to this page, to to Reports → Largest Folders. 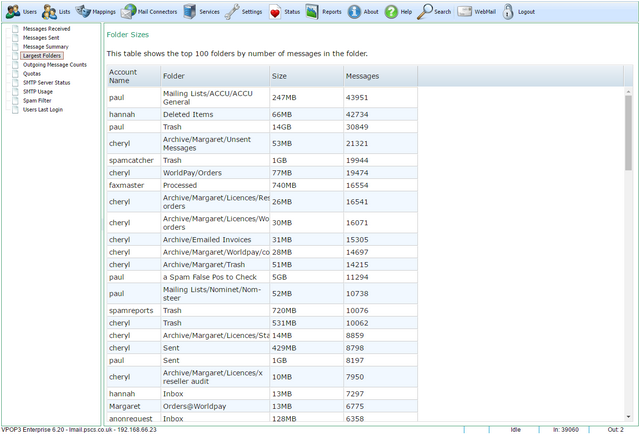 This report simply shows you a the 100 largest message folders counting the number of messages in the folder. 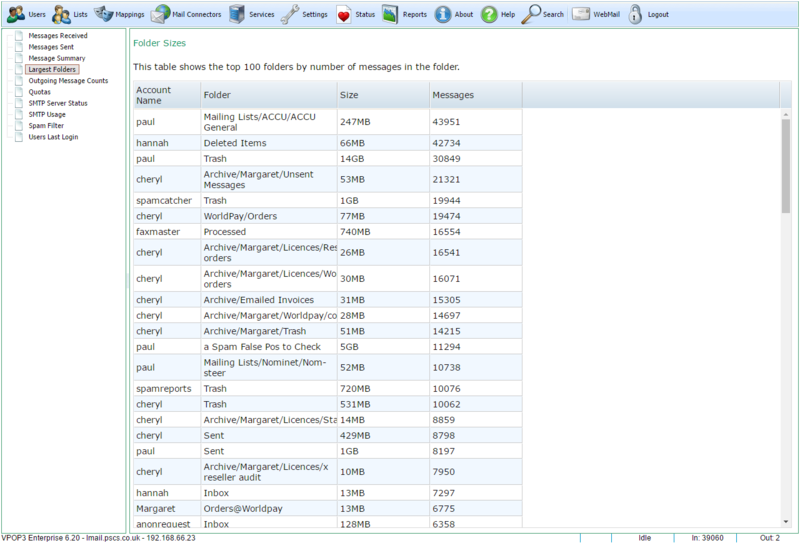 1.The Account Name column shows the user name of the folder's owner. The table is initially sorted by number of messages, but you can sort the table by other columns by clicking on the appropriate column header. Generally we recommend that common folders (eg Inbox, Sent Items etc) have fewer than 20,000 messages in them (preferably fewer than 10,000 - the fewer the better) because every time a user accesses that folder, their email client has to ask the server for a list of details of ALL the messages in that folder, so the more messages there are there, the more work is done by the server (and client) and the more data is transferred around. For folders which are accessed less often, then the folder size is not as important.